In August 2017, AstraZeneca sponsored a roundtable debate on the topic of secondary prevention of recurrent atherothrombotic events. Professor Granger took part as a member of the multi-perspective panel charged with building authority and thought leadership on this topic. Professor Christopher Granger, from Duke University of Medicine, one of the most famous universities in the world, is currently director of the Cardiac Care Unit in the cardiology division. 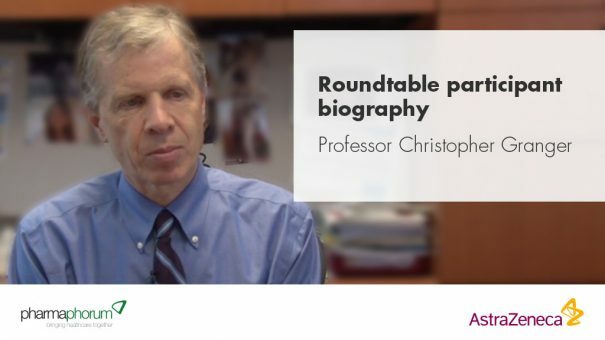 His publishing activity is sensational: 562 articles published in international journals, most of them in the New England Journal of Medicine, The Lancet, JAMA, Circulation and the European Heart Journal. Among them, 426 are original articles, very important for cardiology research, and 136 are reviews and editorials. Moreover, Professor Granger has published 24 books and book chapters in important international treaties. Professor Granger is also a member of the editorial committees of eight international cardiology journals. Professor Granger is a fellow of the American College of Cardiology, American Heart Association and European Society of Cardiology, and has received a number of awards for his research and publishing activity. For further materials relating to this roundtable debate, please visit the spotlight page.